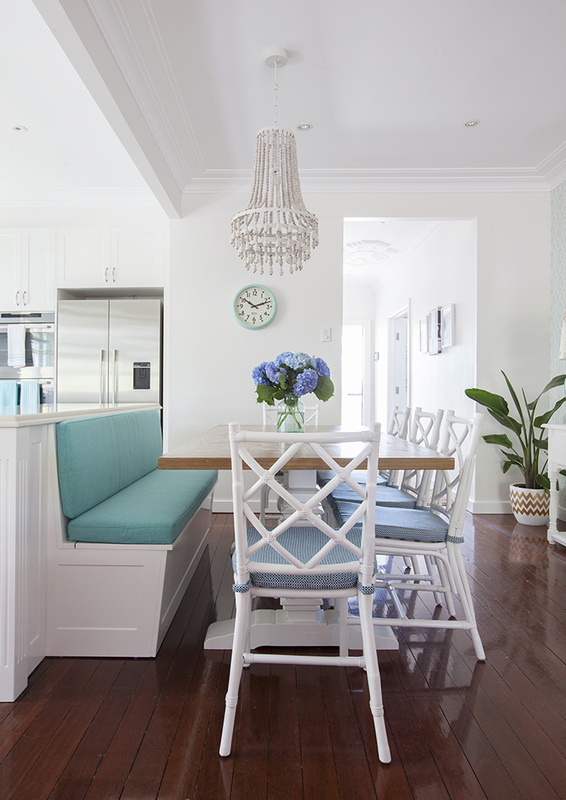 In trademark Rylo Interiors style, this house shows how crisp whites and bursts of colour play very nicely indeed. 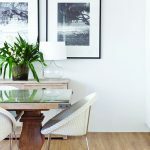 When the owners of this home approached Rylo Interiors to update their living areas, they couldn’t have stumbled upon a more fitting stylist if they’d tried. 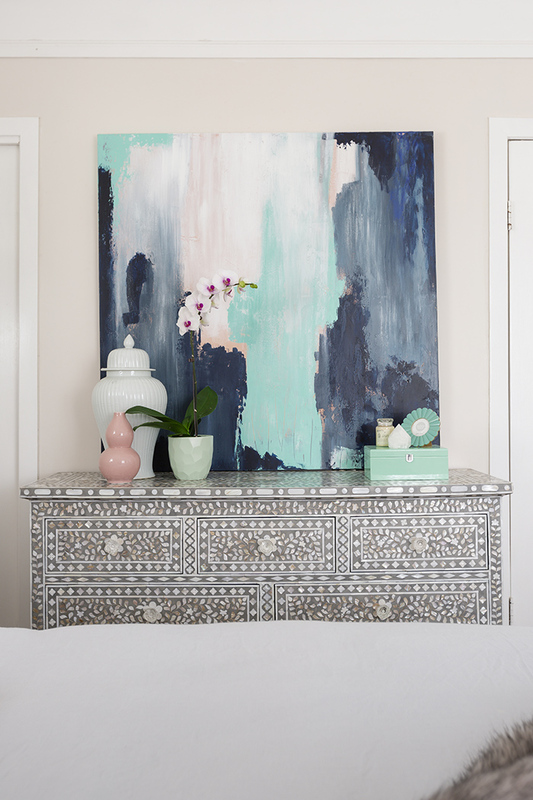 The brief, of creating a “fun and youthful” space, was right up designer Lauren’s alley – her trademark is creating bright and beautiful family homes. “This interior is very much our aesthetic – a collection of styles and pops of colours against a classic neutral base,” she explains. With three children, high-pressure jobs and a home in Brisbane’s inner-city, creating serenity could have proven challenging, but it’s a space which now feels more akin to a resort than to the thriving metropolis it sits in. 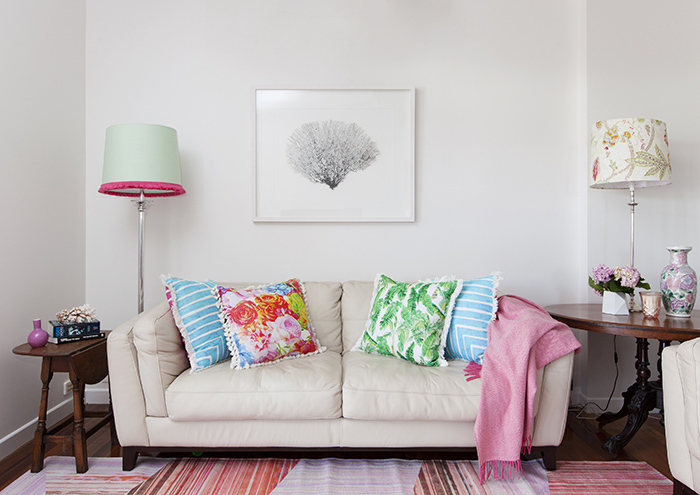 “The feel of this home is now so relaxed, almost tropical,” Lauren says. Bold hues paired with classic patterns add a modern feel to the home, pared back into sophistication with white and deep-hued timbers. Each room received its own treatment, with finishes equally practical and eye-catching – with three children, it was a must – and carefully considering individual spaces without impeding on other areas in the home. It was a challenge, Lauren admits, for the small dining space. 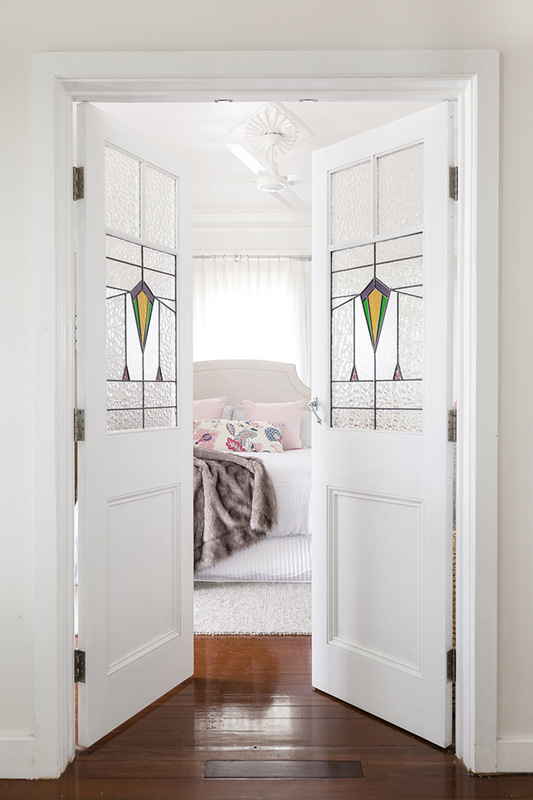 Doubling also as a walk through between the front and back of the home, Rylo Interiors were determined to honour the room on its own, while providing a clear walkway with an entry feel. 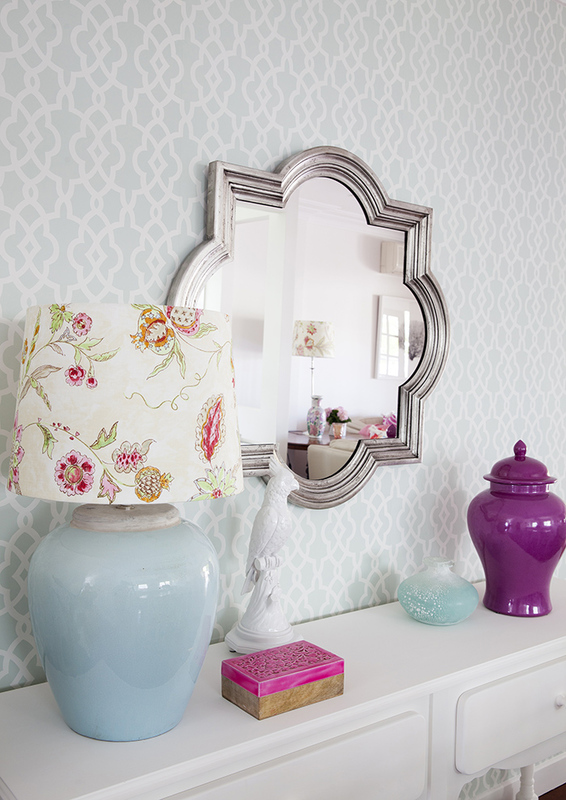 Feature wallpaper and a gorgeous pendant separated the areas into two distinct spaces, each with a lashing of Rylo Interiors style. Easier to handle? The kids’ room, which Lauren easily declares as her favourite. The space needed to happily house a boy and a girl; design-wise, this isn’t always the happiest line to toe. However, vibrant greens and plenty of white provide a near-blank canvas for accessorising. 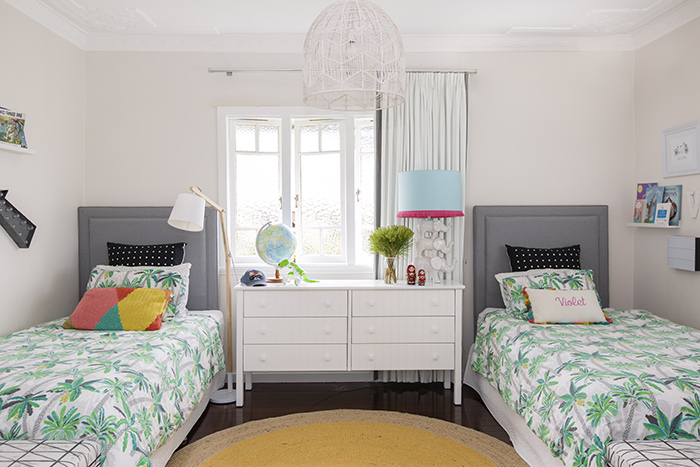 “To keep both a boy and girl happy in one room was definitely satisfying!” Lauren says.